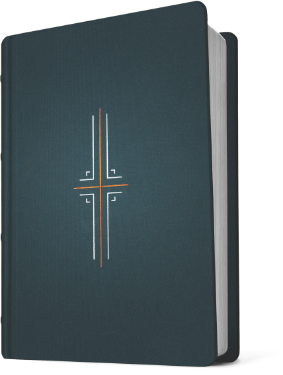 Filament combines the simple elegance of a premium text Bible with the powerful capabilities of your mobile device. 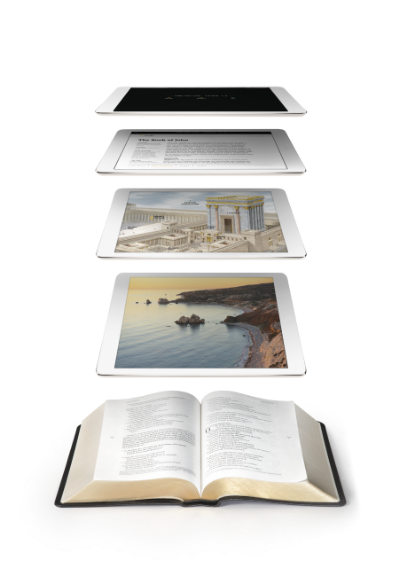 You get the best reading experience a print Bible can offer and instant access to more meaningful content than you’ll find in any one study Bible or devotional Bible. A durable textured gray cloth	hardcover with foil stamping, copper ribbon, and raised spine hubs. A deep midnight blue cloth hardcover with foil stamping, copper ribbon, and raised spine hubs. 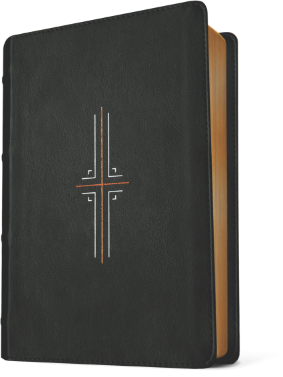 A soft black LeatherLike cover with foil stamping, copper gilding, copper ribbon, perimeter stitching, and raised spine hubs.